Ready to use product, no mixing or diluting required. Spray dries to a clear finish with no residue. Slows deterioration and browning of fresh flowers, plants and greens. 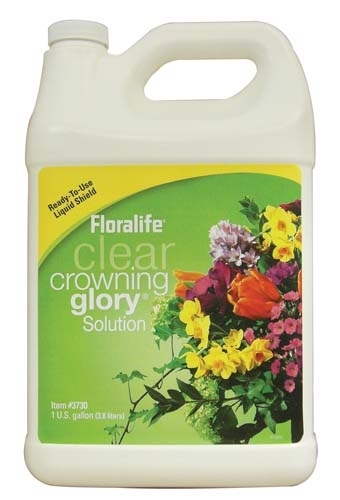 Can be used with either vase or designed floral foam arrangements. Perfect for corsages, boutonnieres, and wedding work.